3DE offers all aspects of 3D and 360 live capture production services. Our professional staff has the expertise and training in 3D concepts, 360 theory and equipment. All solutions can be produced with our proprietary rigs and methodology. We can also consult on your current/future 3D or 360 projects. 3DE has complete solutions for both consumers and pros. Whether you want to conceive a project from a treatment, require full production services, post production in stereoscopic/monoscopic situations, or require new media strategies to be ready for distribution, we are there. 3DE will work with you to anchor a solution based on your needs and budget. 360/VR is a new platform, that all aspects of business will want to capitalize on. Quality Assurance – We achieve the same consistent quality through our proven technology and methodology no matter where we employ our services. Integrity of Staff – We have attracted qualified professionals with the same dedication as 3DE. We provide management, workflow structure, and interaction at the highest level possible to have a concise and efficient product outcome. Technology – We perform extensive research and development of all our technology. All of our equipment goes through rigorous testing and unbiased third party verification. 3DE is committed to excellence and our quality control testing will ensure our final product will be second to none. With our 3DE methodology and equipment, we can upgrade an existing 2D project to 3D or 360. We can, also, conceptualize and plan 3D and 360 projects from the beginning, or from the production point we are hired. 3DE can exact your production needs at the beginning allowing us to look at the full scope and give you a viable solution at a competitive price. We give the client the freedom of having a company that truly works with them to meet their budget, timing and technological needs. We have innovative, proven, and efficient 3D and 360 rig equipment. 3D rig (3DE-SCR) with 360 rig add-on, for high end capture. We execute the same high quality output on a consistent basis as well as deliver stable output for reduced post production costs. We produce cross platform outputs for YouTube 360, Facebook360 and other formats so that they are view-able in HMD's. Current HMD's are Samsung Gear VR, HTC Vive, and Google Cardboard. We provide custom 360 stitching and 3D post-production to give you the best product possible. We can collaborate on 2D ideas and produce a 3D or 3D 360 solution. 3DE will perform a technological analysis of the equipment you want to use beginning with a script breakdown. We will integrate with your key staff as an add-on service to produce the best possible solution. Our team can set up a website with integrated social media for your brand as well as set you up across all main social platforms. We can either work in tandem with your in-house team or you can have our team streamline your content and push it out through social channels. We can also activate TV spots, web, blog, press articles for your next PR project. We can act as your initial online content distributor. 3DE provides 3D and 360 content on our website and other platforms (Facebook 360, YouTube 360) to capture a growing base of 360/VR/New media enthusiasts. We can leverage our audience base supporting your new content to help you increase your exposure for advertising/sales revenue opportunities. 3DE recognizes that a professional, adaptable, affordable solution is needed. We look forward to collaborating with you on your next 3D 360 project. 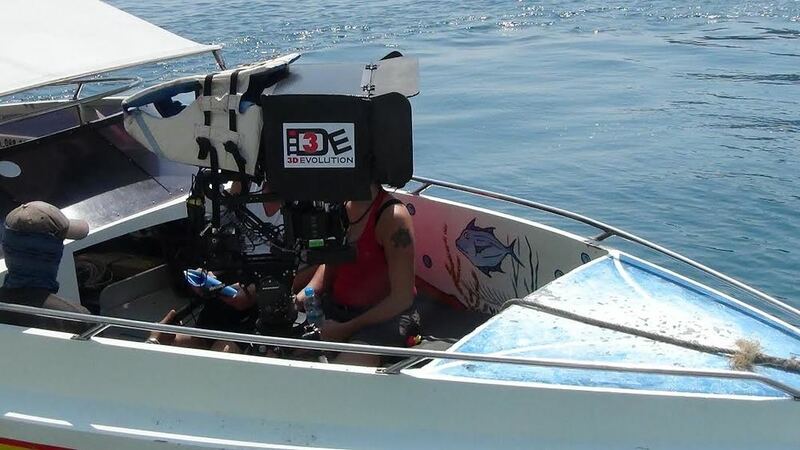 3DE provides services for film and media, TV, commercials, advertising, concert, theatre/stage, outdoor venues, movie trailers/teasers, documentary/nature/science, education, real estate, construction or corporate clients.